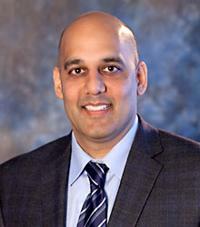 Dr. Vijay Jotwani is a board-certified and fellowship-trained Primary Care Sports Medicine physician. He obtained his medical degree from the University of Illinois School of Medicine, and completed his Family Medicine Residency at the University of Chicago/MacNeal Family Practice Residency Program. He then completed a Sports Medicine Fellowship at Indiana University. Dr. Jotwani's practice focuses on the medical care and non-operative orthopedic care of athletes and active people. He is a member of the Houston Methodist Concussion Center and also specializes in the use of musculoskeletal ultrasound for diagnosis and guided injections. He treats a broad range of injuries and conditions with the primary goal of returning patients to play and their active lives. Dr. Jotwani presently serves as a team physician for the Houston Astros, Houston Ballet, Rice University Athletics and RodeoHouston®.